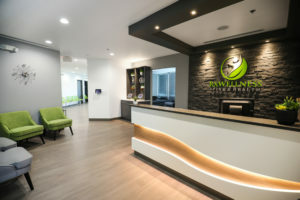 RxWellness Spine & Health - Northern Virginia | FREE CONSULTATION! 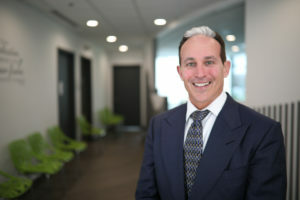 Accident Doctor- Dr. Philip Golinsky, serving NOVA Residents located in Herndon, Reston, Sterling, Chantilly, Ashburn, Leesburg, Fairfax, Mclean, Vienna and Oakton, Virginia. Should I wait to go see a Doctor after my Reston auto accident? NO, waiting is a huge mistake that could cost you thousands of dollars. This is called gap or delay in medical care. Waiting to go see a doctor after you have suffered an injury in a car wreck is not recommended by the lawyer or by the doctor. Insurance companies will look at when you first received medical care after your car wreck. If you wait too long, you jeopardize your recovery for your injury. Don’t make this mistake; get to your accident doctor immediately following your car wreck if you have been injured. Do I have to pay out of my pocket to go see a Doctor? Why do I need good documentation by my Doctor? If you have been involved in a car accident in the Herndon, VA area, you are in the right place! Herndon, VA doctor specializes in the treatment of car accident injuries such as neck, back, shoulder and hip pain. Chiropractor doctors on this site accept accident liens from attorneys so there will be no out-of-pocket costs for your accident injuries treatment. Herndon, VA doctor treats car accident injuries and pain caused by automobile accidents. Whether you are suffering from back pain, neck pain, headaches, or even muscular tightness and tension and stiffness as a result of an accident, call a Herndon, VA chiropractor immediately. If you have been involved in a car accident in the Herndon, VA area, whiplash injuries need to be taken very seriously. Because symptoms of a whiplash injury can take weeks or months to manifest, it is easy to be fooled into thinking that you are not as injured as you really are. Too often people don’t seek treatment following a car accident because they don’t feel hurt. By far, the most common injury to the neck is a whiplash injury. Whiplash is caused by a sudden movement of the head, either backward, forward, or sideways, that results in the damage to the supporting muscles, ligaments and other connective tissues in the neck and upper back. Unfortunately, by the time more serious complications develop, some of the damage from the injury may have become permanent. Numerous studies have shown that years after whiplash victims settle their insurance claims, roughly half of them state that they still suffer with symptoms from their injuries. If you have been in a motor vehicle or any other kind of accident, don’t assume that you escaped injury if you are not currently in pain. Contact your Herndon, VA chiropractor immediately after a car accident to receive your free car accident evaluation! WHY CONTACT YOUR Herndon, VA CAR ACCIDENT CHIROPRACTOR IMMEDIATELY AFTER AN ACCIDENT? Your Herndon, VA car accident chiropractors treat injuries that are a result of motor vehicle accidents, whether they are severe or mild. It is very important that you have a car accident chiropractor examine you immediately after an accident to determine if your injuries are serious and give you the treatment necessary for the proper correction of your symptoms. Many times patients are unaware of the severity of their injuries in the first few days or even weeks after the accident. Unfortunately insurance companies in Herndon, VA are notorious for denying car accident claims if the victim did not contact a chiropractor that specializes in car accident treatment within the first 2 weeks following the accident. Even if you do not experience any immediate pain after the car accident, it is important to have an examination performed by a doctor that specializes in whiplash that results from a car accident. A whiplash is a very serious injury that may not have immediate symptoms. It sometimes occurs with a very small impact. When the body is suddenly forced in a sudden flexion and extension state such as it happens during an impact from the rear, the muscles of the neck and back can experience tiny tears. These small tears may or may not cause symptoms of neck or back pain immediately. Unfortunately the symptoms may not appear for months or even years and the patient may not even relate their symptoms to the past accident. If left untreated, these micro tears can cause scar tissue in the injured muscles as well as cause degeneration and arthritis in the joints that they control, over time. Your Herndon, VA accident chiropractors will check your spinal vertebrae for misalignments, the range of motion of your neck, back, shoulders and other affected areas to determine if an injury occurred. Don’t take a chance with your health. Call one of your Herndon, VA chiropractors even if you do not have any back or neck pain. DO Herndon, VA CHIROPRACTORS ACCEPT LAWYER LIENS? Yes, all of the Herndon, VA chiropractors listed on this website agree to accept accident cases on a lien. Of course, that can be determined for each individual case at the time of the first visit. No, not necessarily. Herndon, VA car accident chiropractors can offer you the treatment necessary in different scenarios. Sometimes, patients have their own Medical Coverage under their Herndon, VA auto insurance. This insurance is called Med Pay and it covers you whether the accident was your fault or not. There is also the possibility your Herndon, VA chiropractor will accept a third party lien, meaning he or she will get reimbursed by the car insurance of the party at fault. Each Herndon, VA car accident chiropractor will collect all the information necessary to determine if your treatment will be covered and give you a specific answer after reviewing all the accident information. It is probably more important that you visit your Herndon, VA chiropractor first to determine if you have any injuries related to the car accident and at that time make a decision if you will need to hire an attorney or not. Most common injuries that occur during a car accident are related to soft tissue damage. These consist of injuries to ligaments, tendons and muscles. Unfortunately these injuries are not shown on X-rays. That is why it is very important to have your Herndon, VA accident chiropractor document them as soon as possible. These type of injuries can cause symptoms such as neck pain, upper back pain, shoulder pain, headaches, middle back pain, lower back pain, knee pain, hip pain and tightness and stiffness in all these areas. Also soft tissue damage can cause a limitation of mobility or range of motion in the above areas, either due to pain or swelling. HOW LONG DOES A CAR ACCIDENT TREATMENT IN Herndon, VA TAKE? Each case is very different. Your Herndon, VA car accident chiropractors will determine the length of your treatment depending on the injuries you incurred as a result of your accident. Most of the time, your chiropractor will suggest a more frequent schedule in the first four to six weeks following the car accident and tapering it off as your accident symptoms improve. Your Herndon, VA car accident chiropractors can recommend time off work after performing the initial accident examination. Factors such as work duties and severity of injuries will determine the amount of time that your accident chiropractor can recommend for time off from work. Your chiropractor may also recommend that you will avoid physical activities such as walking, running and exercising following an accident.